Join us the third Tuesday of every month for Tapas Tuesday. Tapas is a Spanish way of eating where everything is shared at the table, I like to start with some cold items and then go into the hot ones. You would probably average 2-4 dishes per person, the more people you bring the more stuff you get to try!!! Enjoy, Chuck! 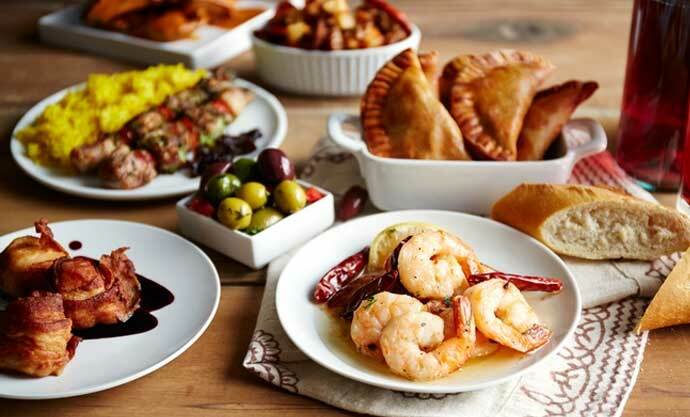 Reservations are highly recommended for Tapas as this is one of our most popular monthly events! Call us at 331-431-4000 to make your reservation!